​ Guess What Is Coming Up? 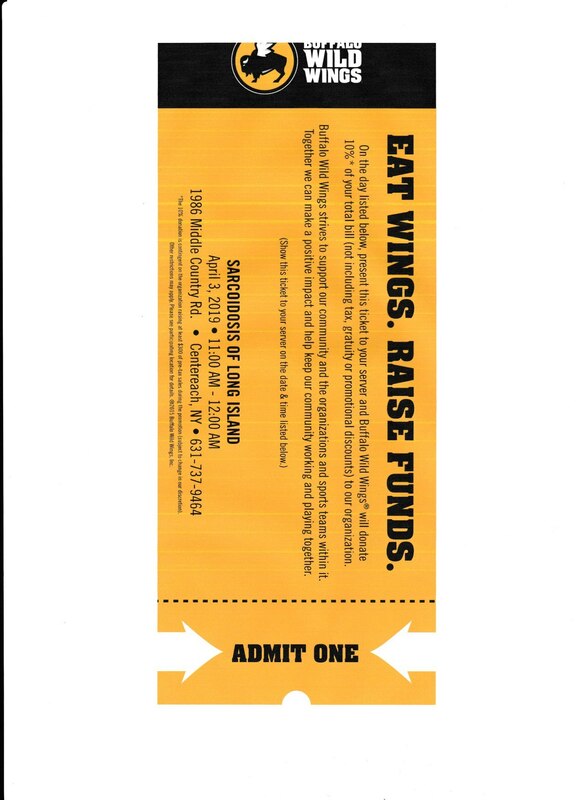 *The 10% donation is contingent on the organization raising at least $300 of pre-tax sales during the promotion (subject to change in our discretion). So much fun this Year! We want to Celebrate our 5th Anniversary with a Bang! 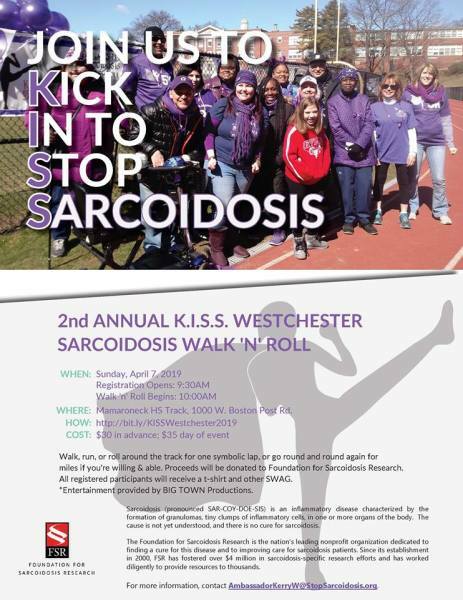 Walk, Raffle, Music, and Vendors! It isn't just a Walk it is an Environment!! 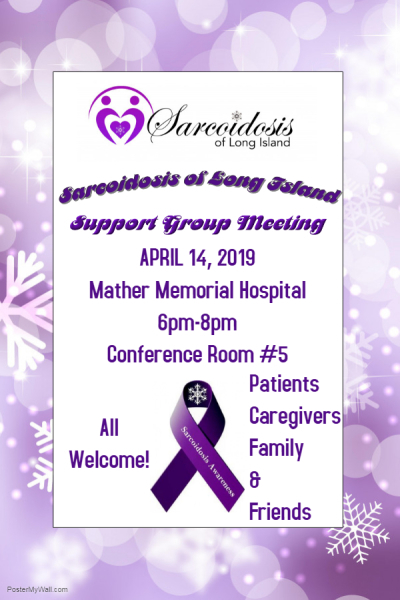 Sarcoidosis Awareness Month Support Group Meetings! Conference room #5 from 6pm-8pm. Please come down and be heard and learn!! 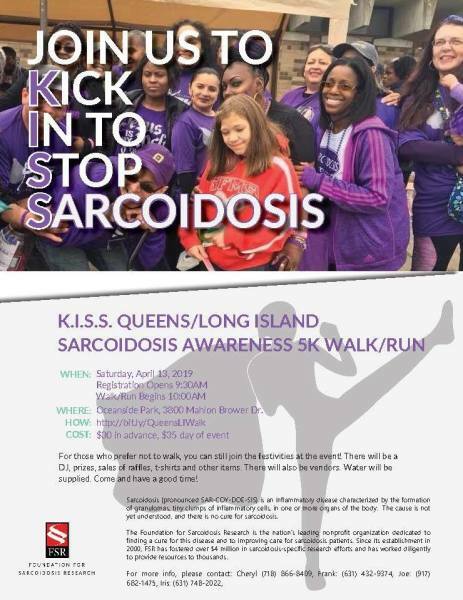 News Articles About Sarcoidosis and Sarcoidosis of Long Island! 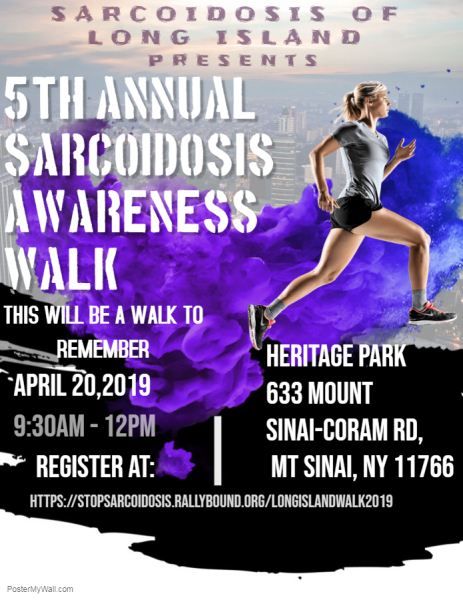 I am so grateful that my work is being recognized by so many so that Sarcoidosis and the Rare Disease community gets the recognition it deserves.